Seasonal American fine cuisine expertly prepared from fresh, and whenever possible, organic, locally grown, raised, and artisan crafted ingredients. Call now for post-game reservations. Go Vols! Specials from Chef John tonight… Soup… Beef stew with farro and local sunchokes App… Chunu oysters with ruby red granita and smoked trout caviar Catch… Wood grilled South Carolina day boat swordfish with baby kale, roasted kushaw squash, fennel, and Kennebec potatoes in bacon and apple broth. 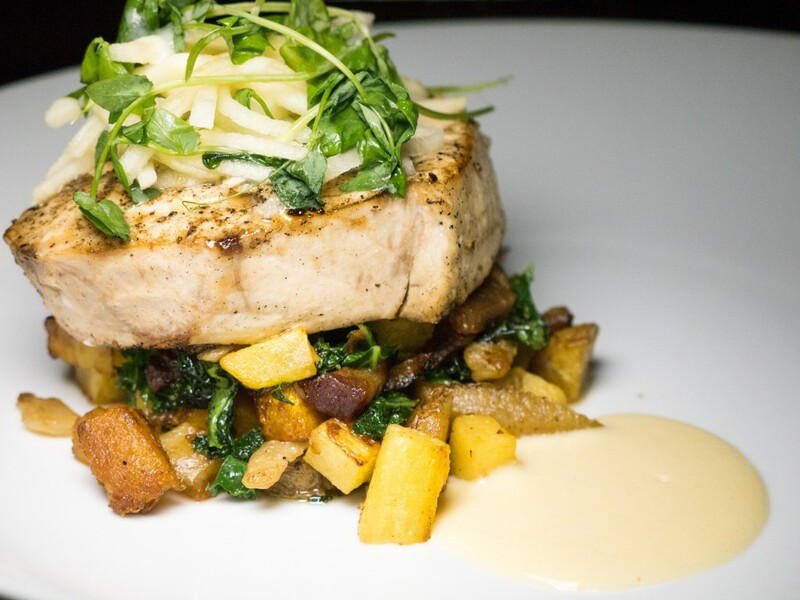 Everything is local but the Swordfish! Butcher’s Cut… Local Mi Terra Farms lamb burger with housemade goat cheese, local arugula, and harissa yogurt served with pickled local vegetables and local Kennebec potato fries. 214 East Mountcastle Drive, Johnson City, Tennessee -- 423-929-9007 -- Copyright © 2017 Gourmet & Co. All Rights Reserved.